Kiddy Smile is apparently ‘an emerging icon of cultural expression’. A Parisian native, in July 2016, i-D premiered the Let A B!tch Know video and after thousands of views, the single now gets a full digital release. 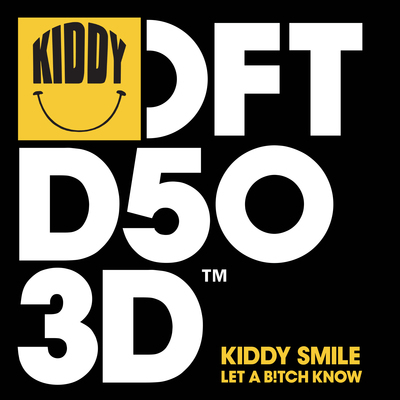 After signing to Defected earlier this year, Kiddy Smile comes through with his debut single for the label along with some remixes that span the house subgenres. Kiddy's music aims to pulse with the energy of the ballroom scene of his native Paris. 'Let A B!tch Know' is embedded in the dance rituals and traditions of the scene in which Kiddy is an influential character; the track snaps with the energy of a dancer voguing and expressing themselves on the dancefloor. The remixes come courtesy of three house music greats who can appreciate the instinctive danceability of Kiddy's original, adapting this essence to explore the potential of the track within their own styles of house. Chicago dance music producer Gene Farris gives his deep interpretation, amping up the bass hook and the drum flourishes, creating the tension that aims to spark electricity on the dancefloor. Next up, fellow Parisian and Ed Banger Records mainstay Boston Bun raises the tempo, splicing in synths to give the track more of a peak time vibe. Catz 'n Dogz’ minimal approach lets Kiddy's barbed vocals shine, engaging the duo's rolling tech house style with the colourful world of the Paris balls. The release comes complete with Kiddy's spoken vocal as an accapella. It’s out 12 December, check it out below.